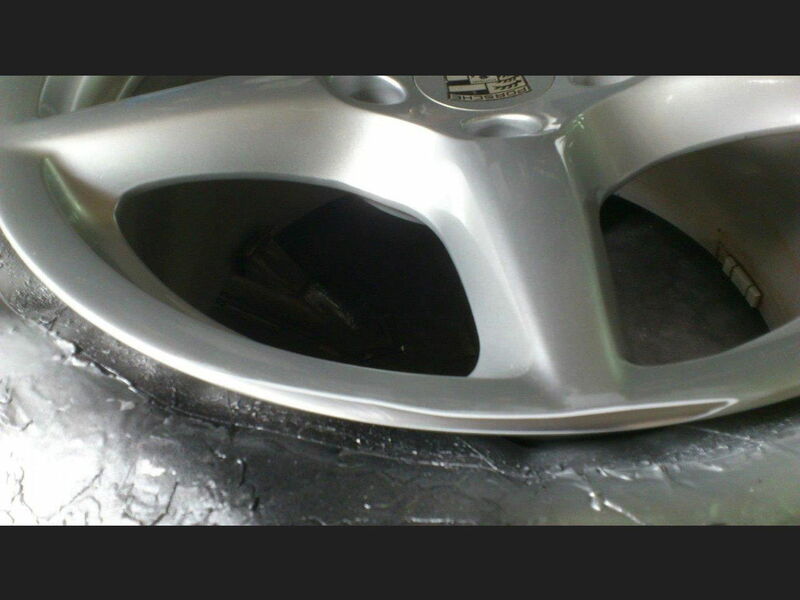 After Sand Blast and Prepared to Spray Base Premier. 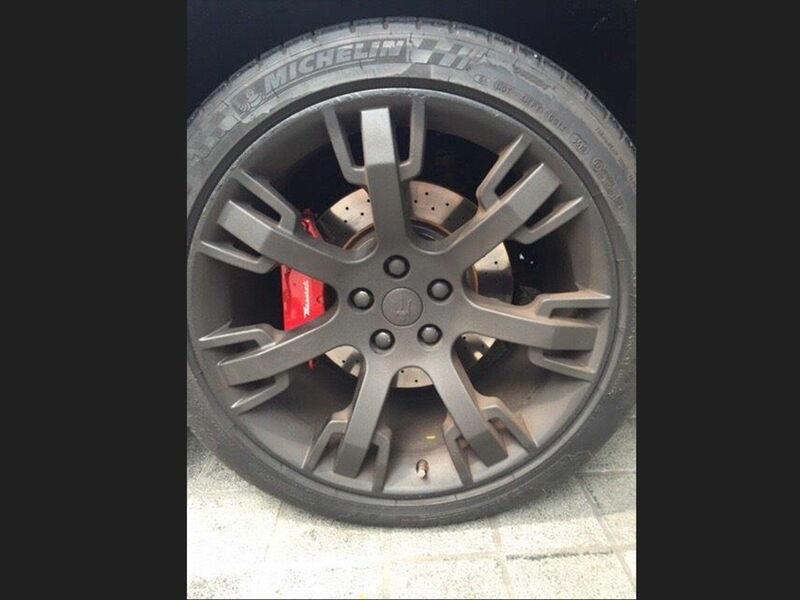 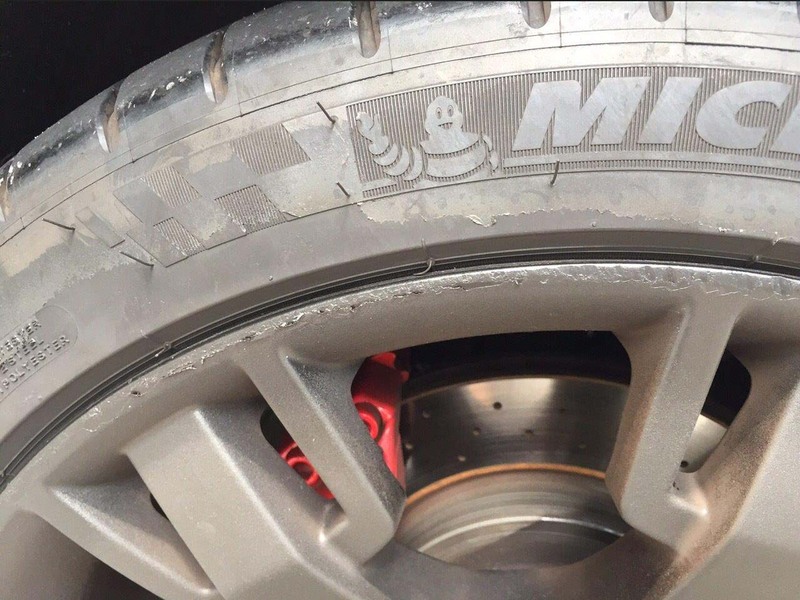 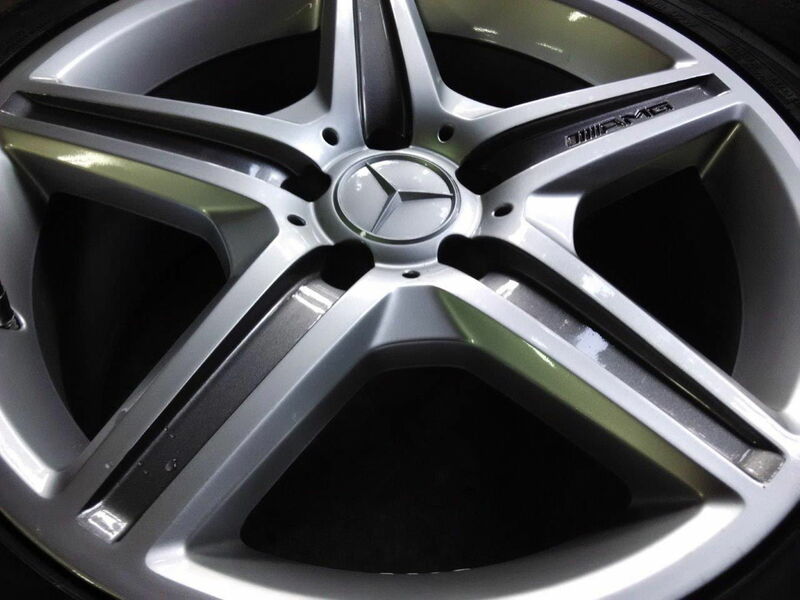 Rims and tyres take a lot of punishment out on the road and are one of the most common parts of the car to suffer from damage. 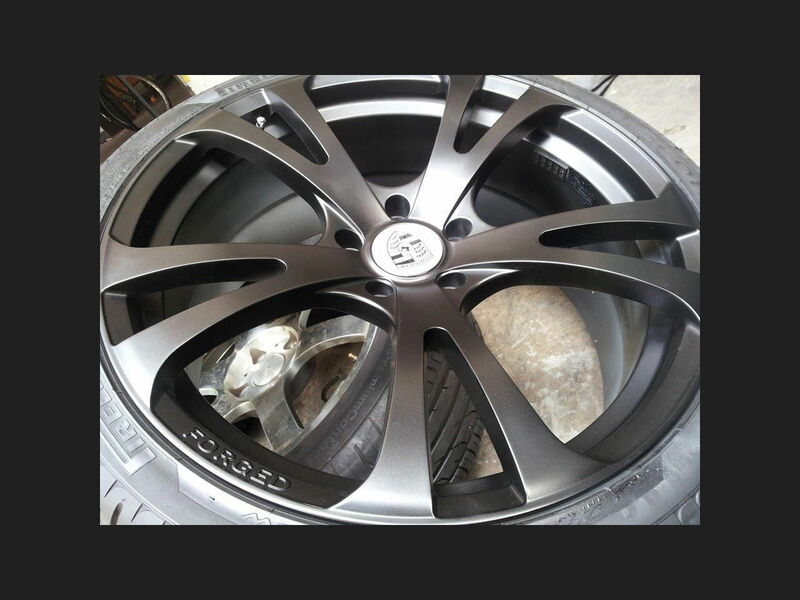 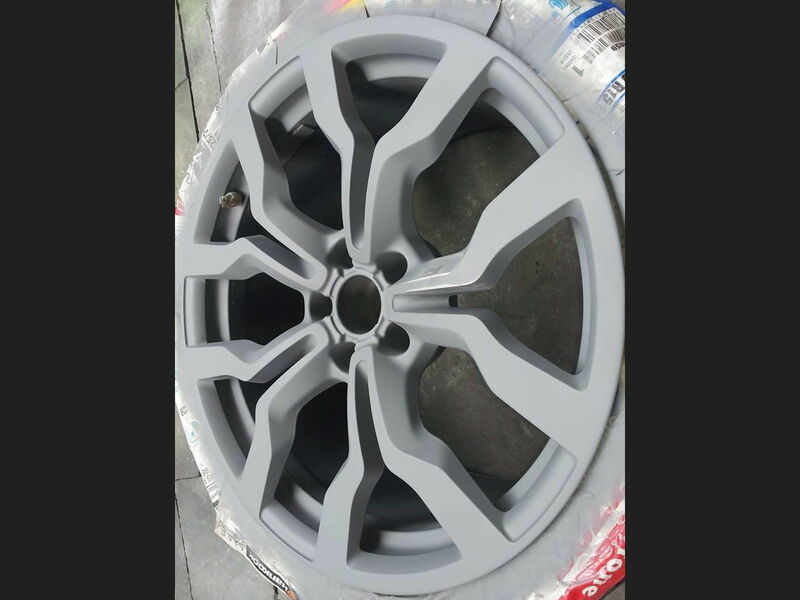 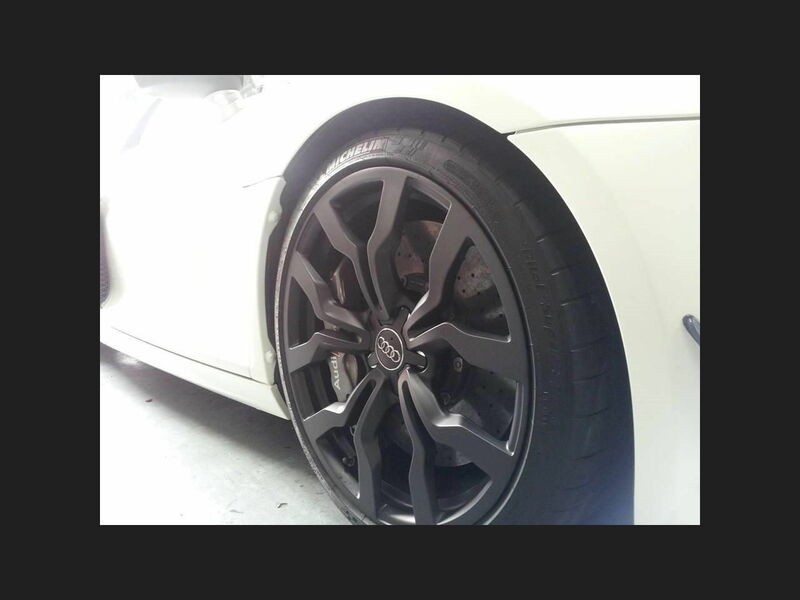 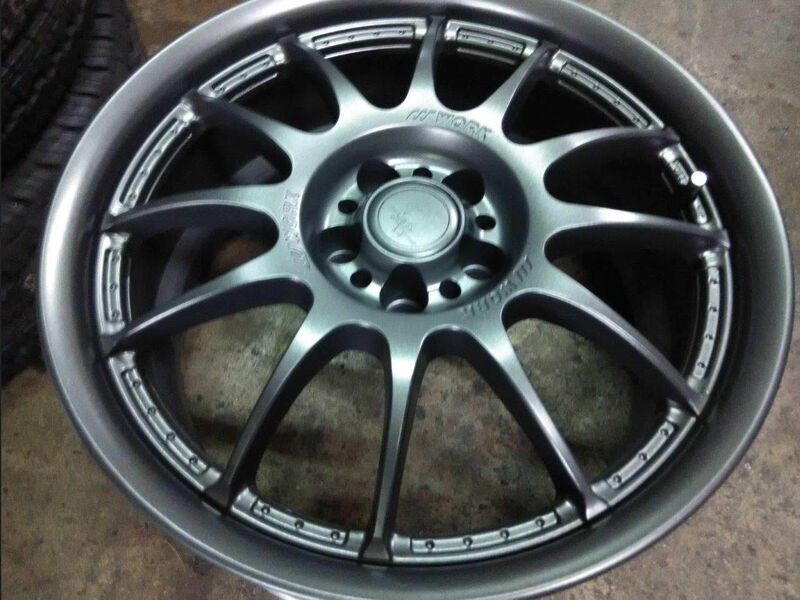 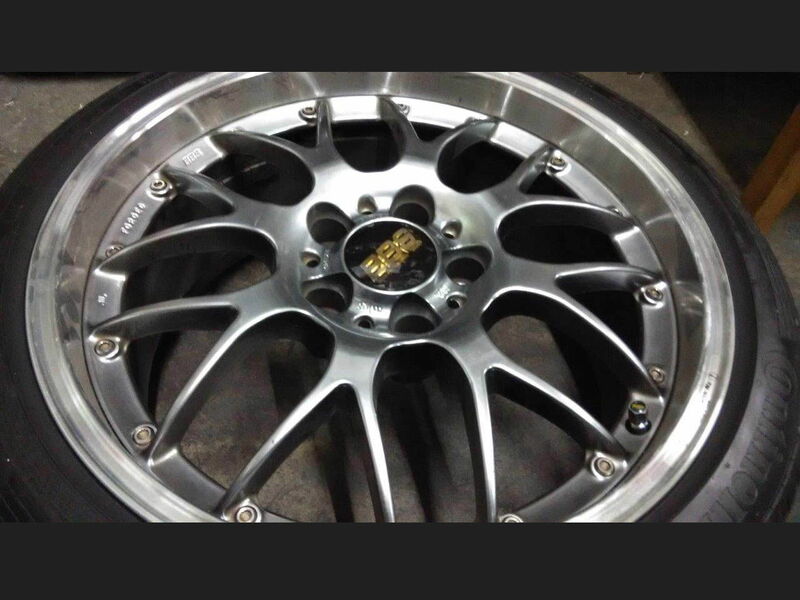 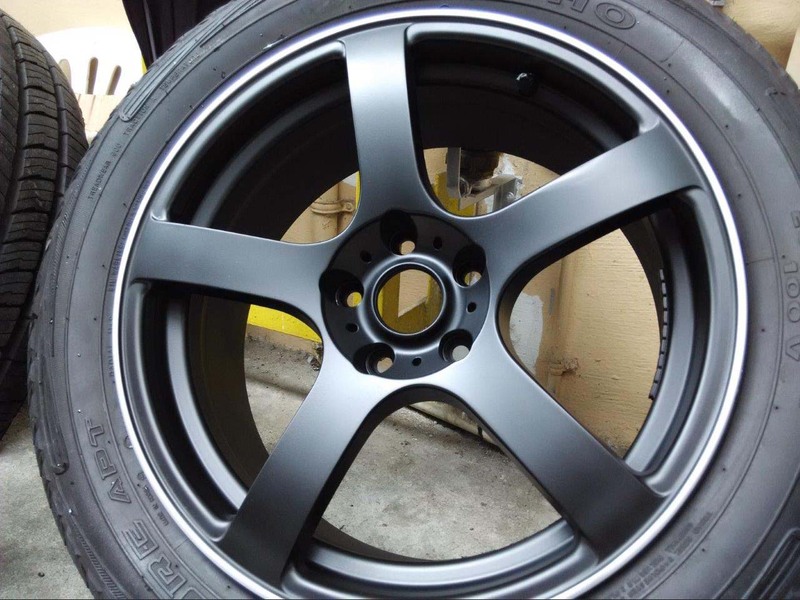 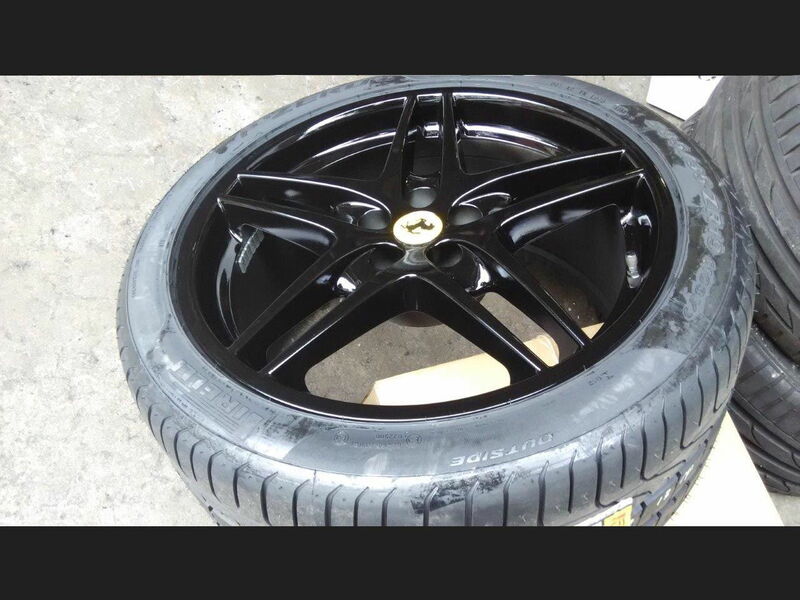 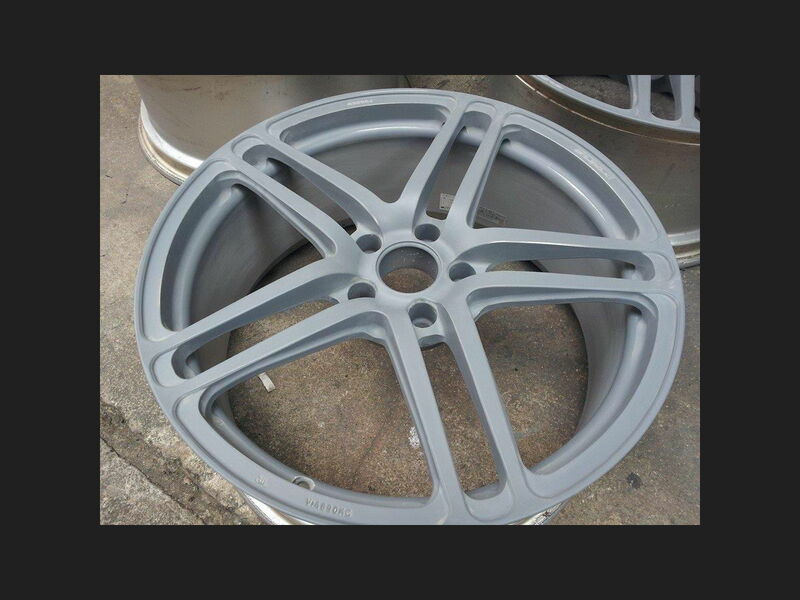 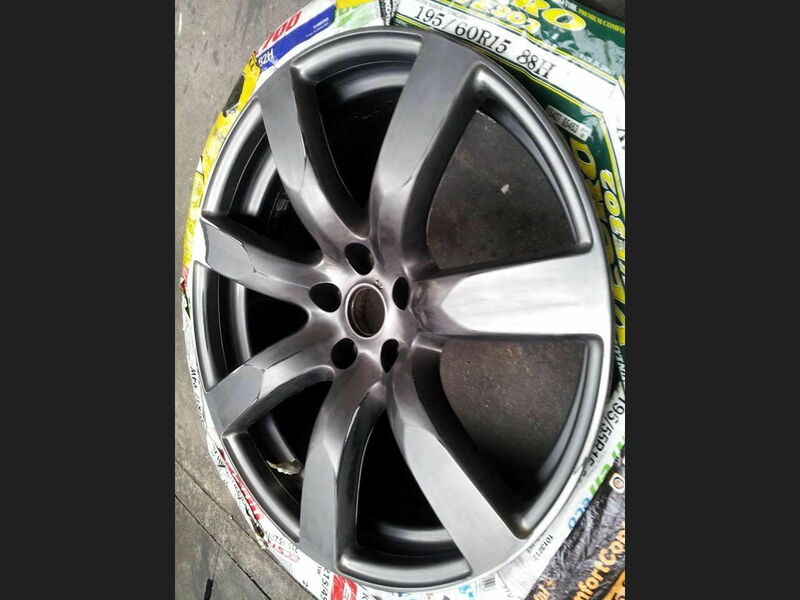 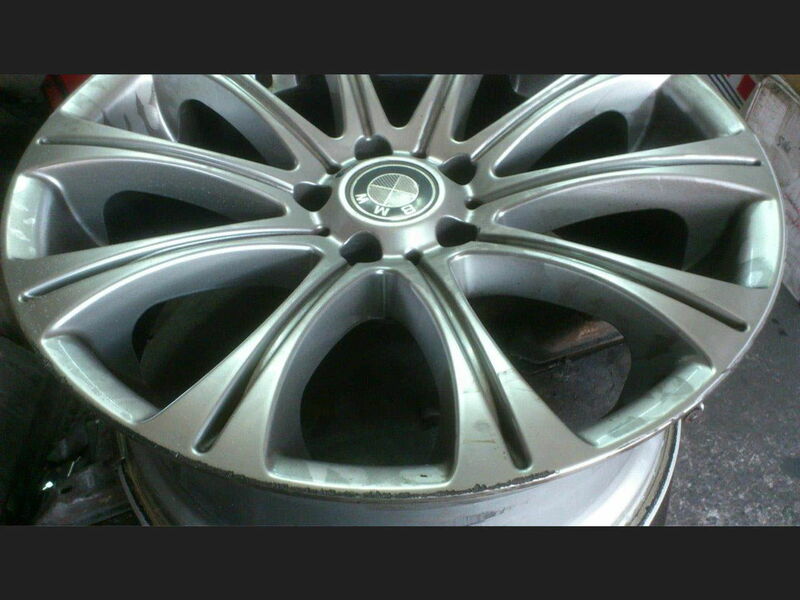 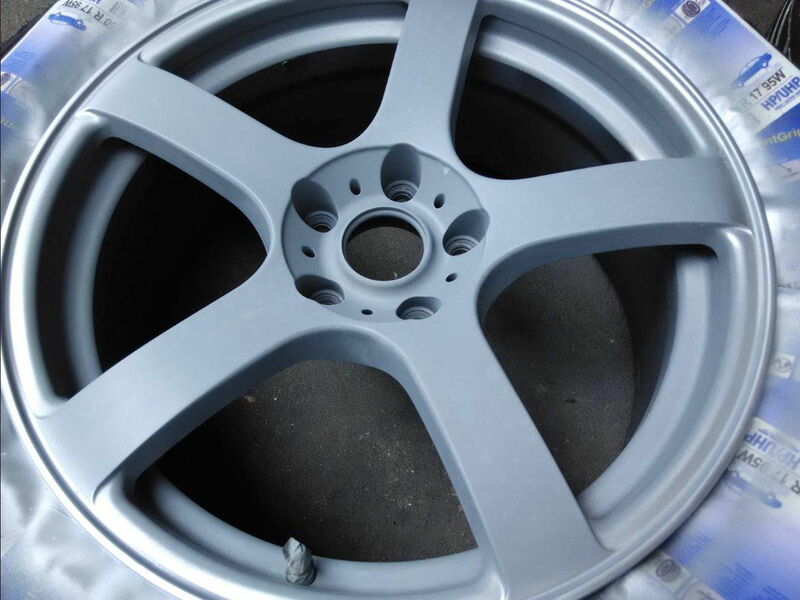 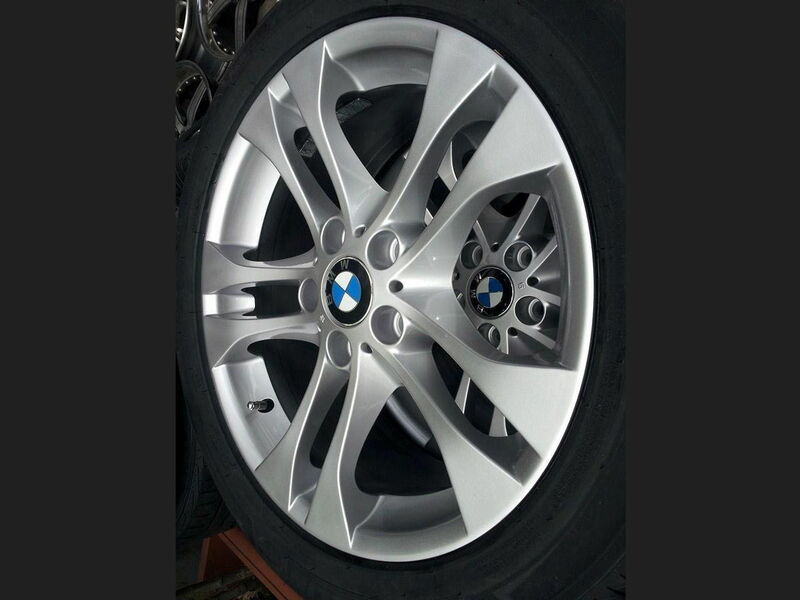 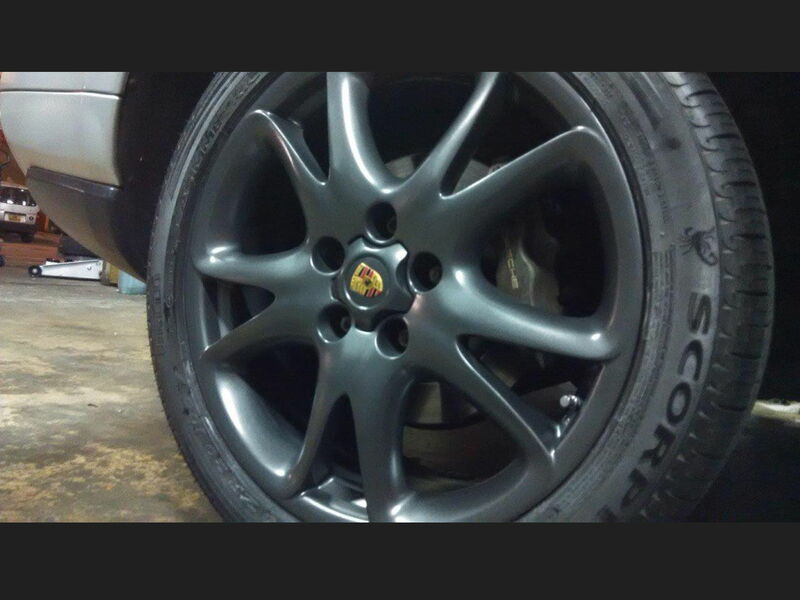 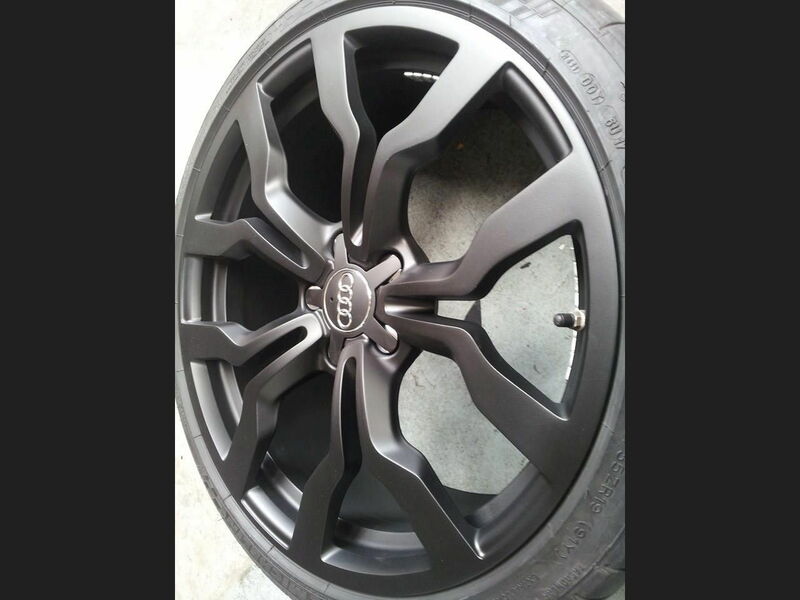 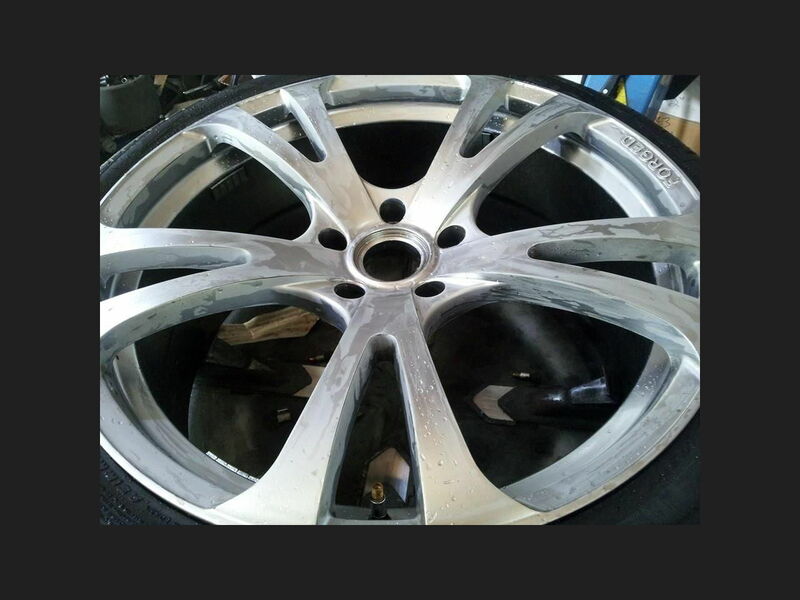 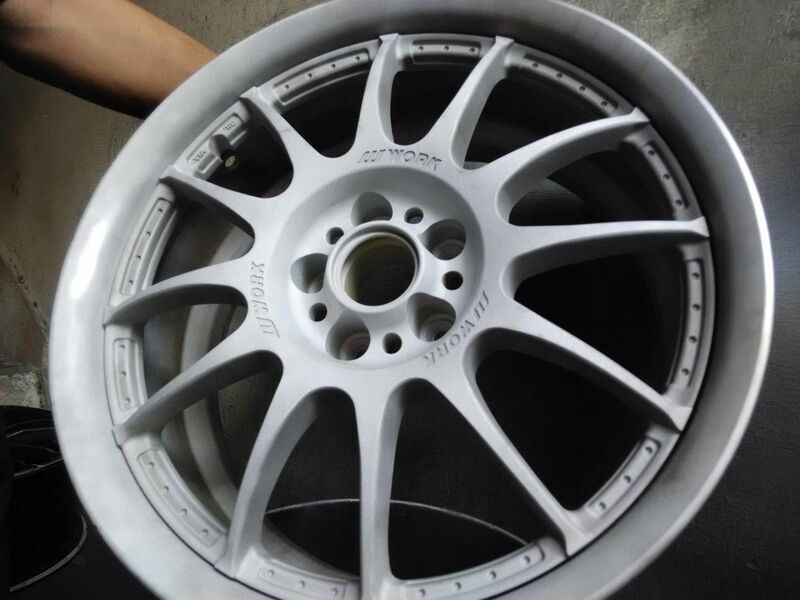 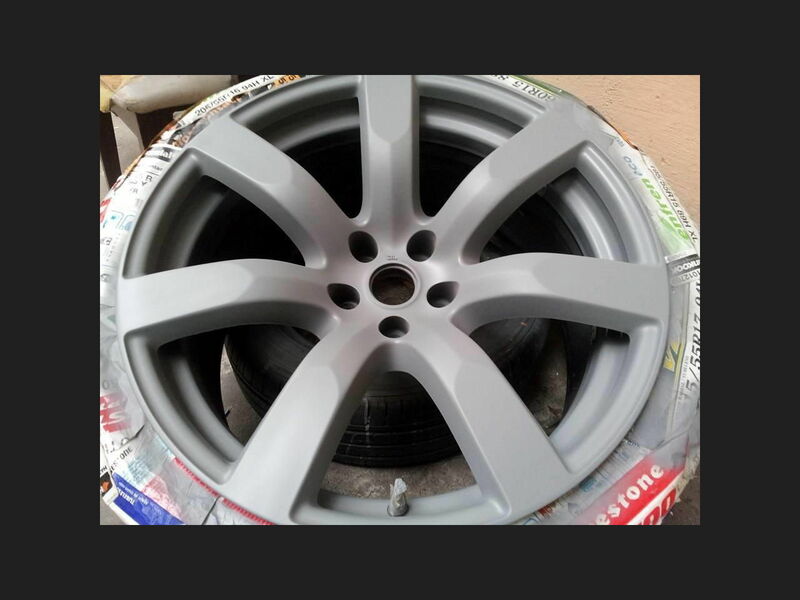 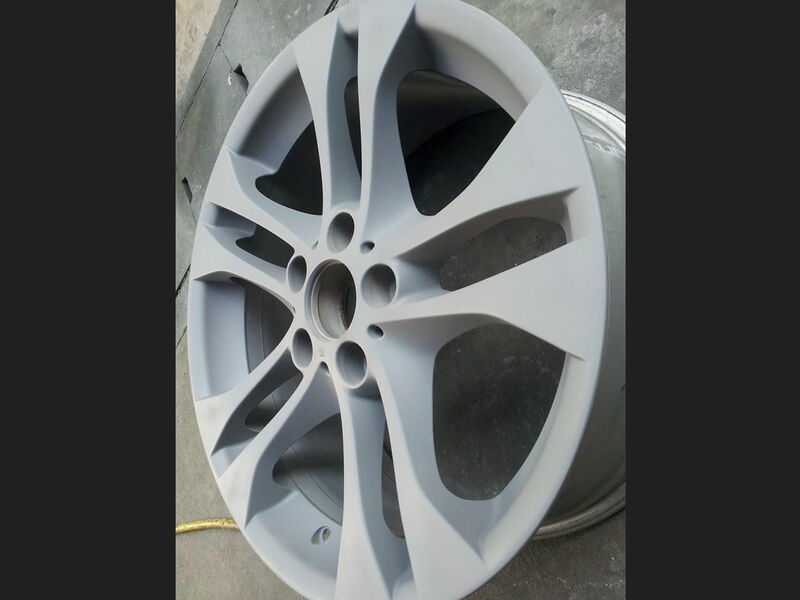 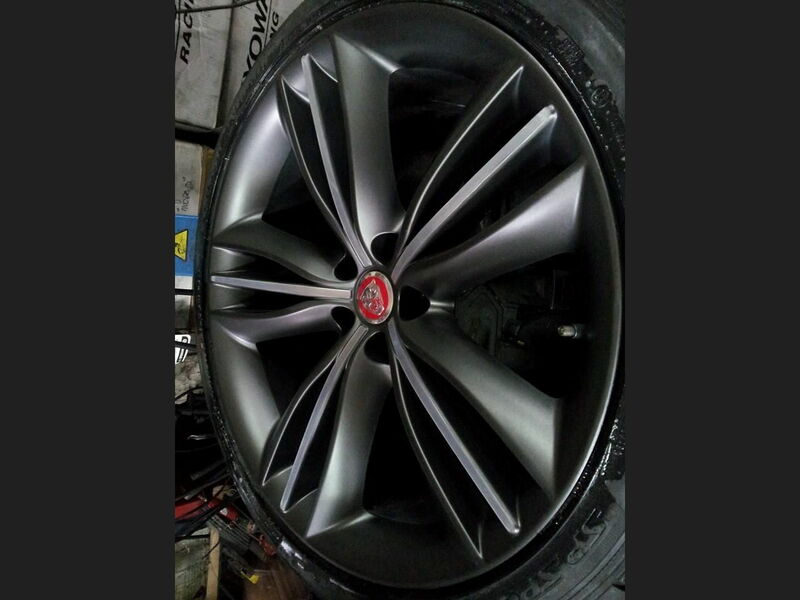 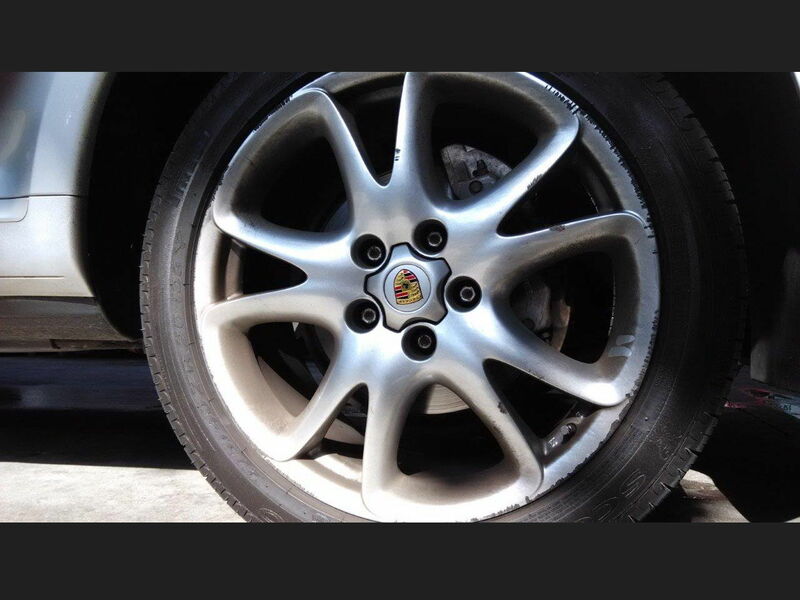 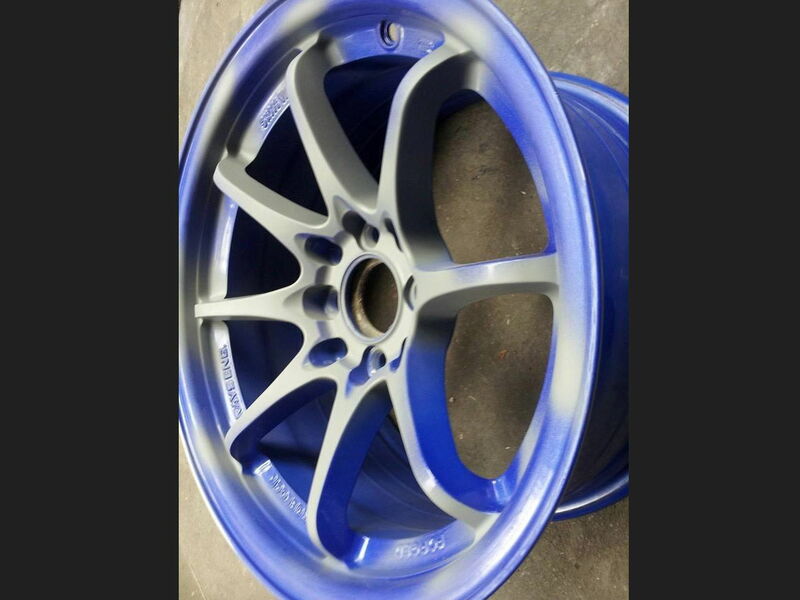 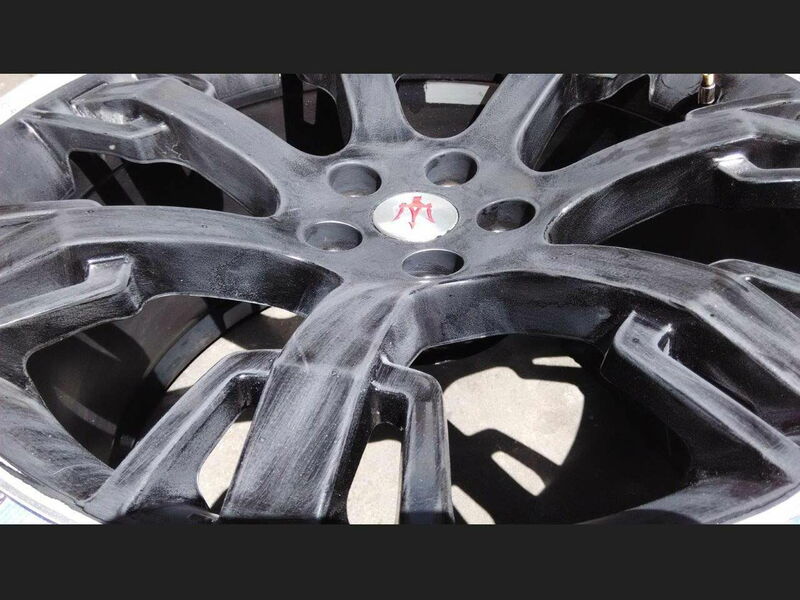 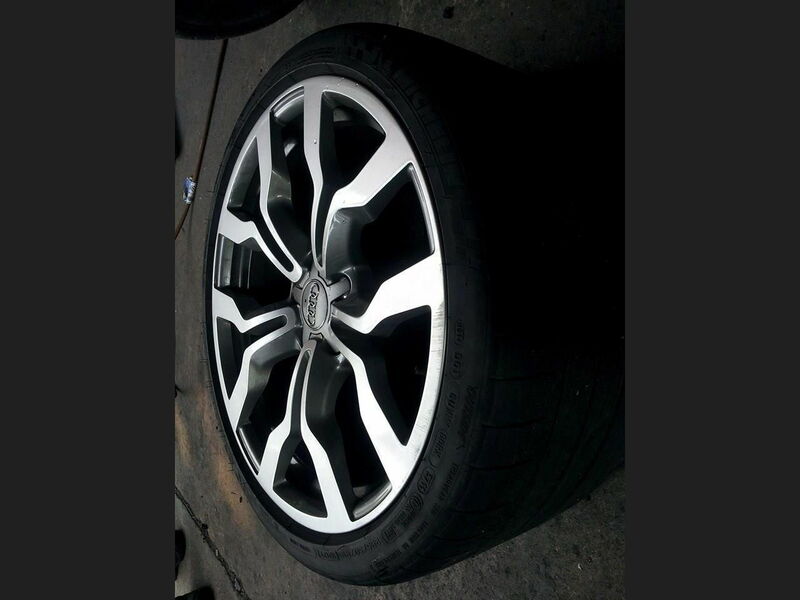 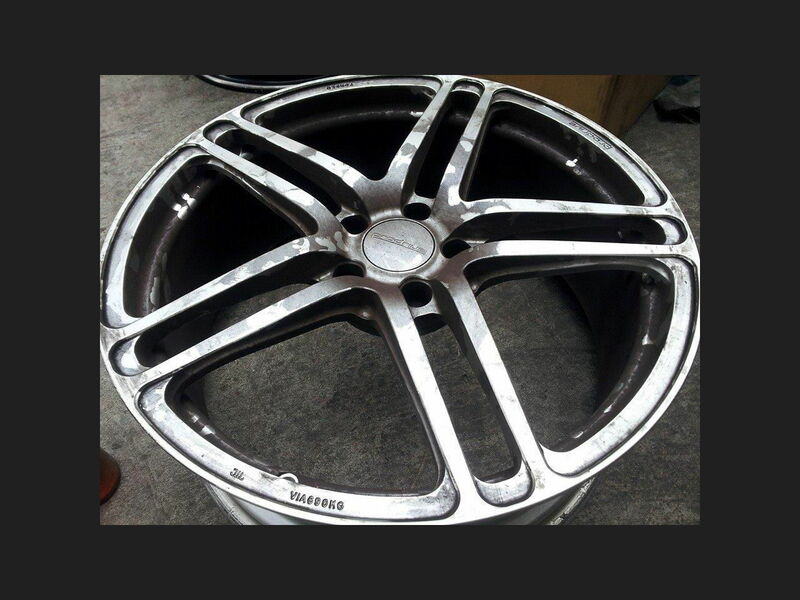 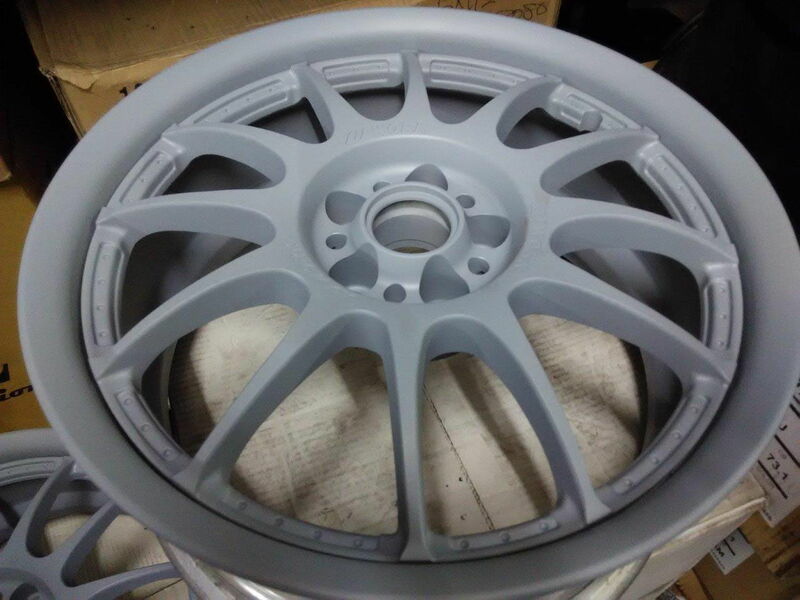 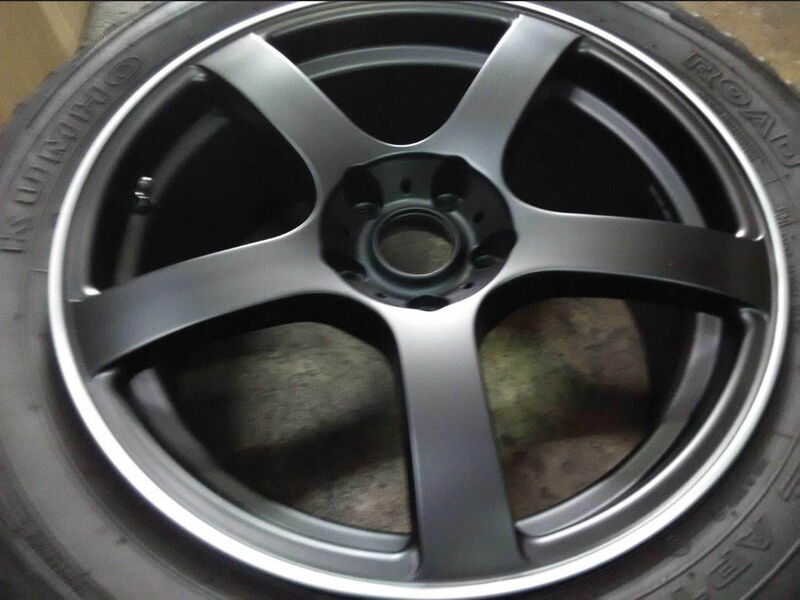 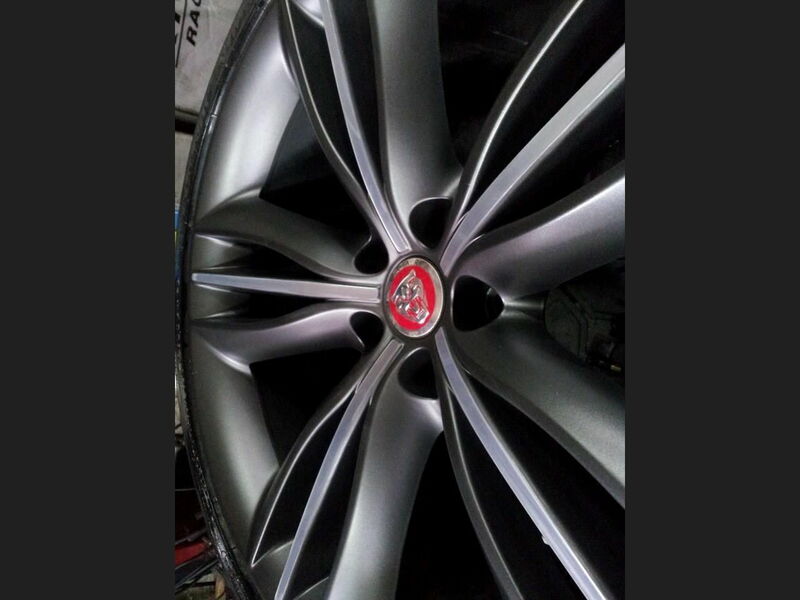 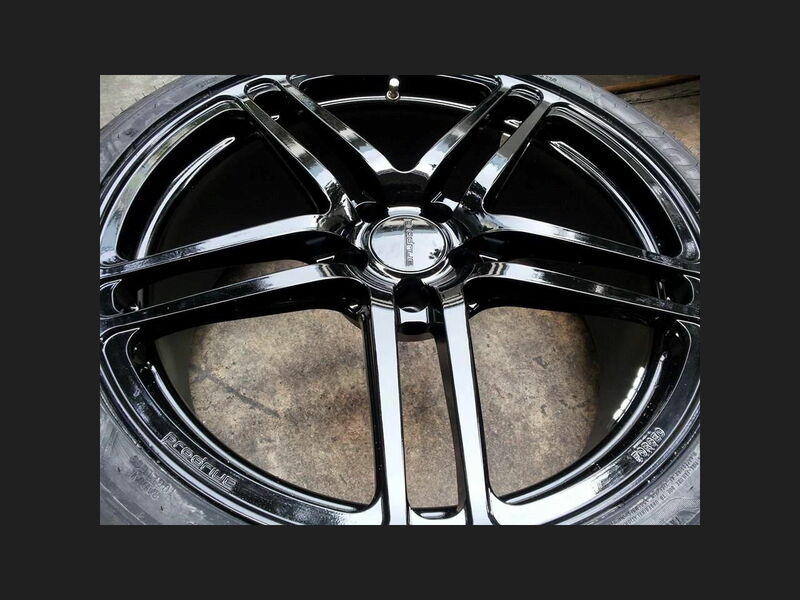 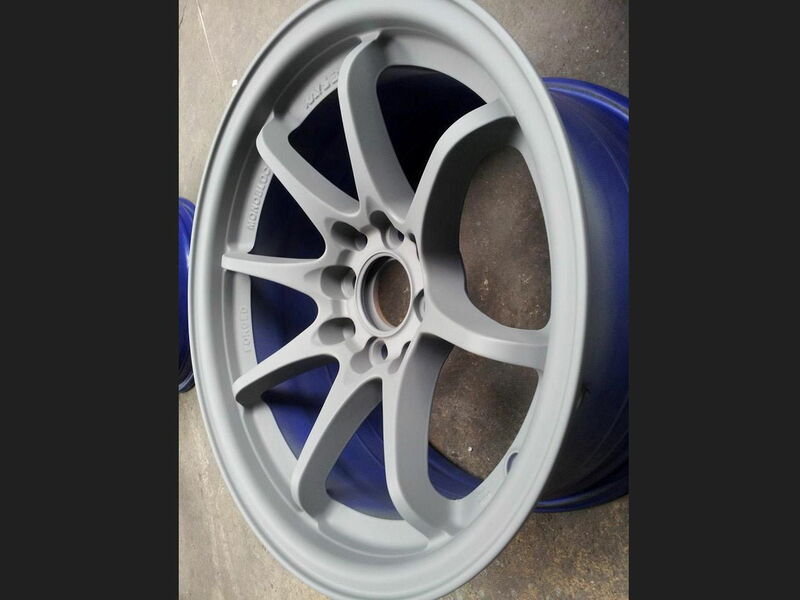 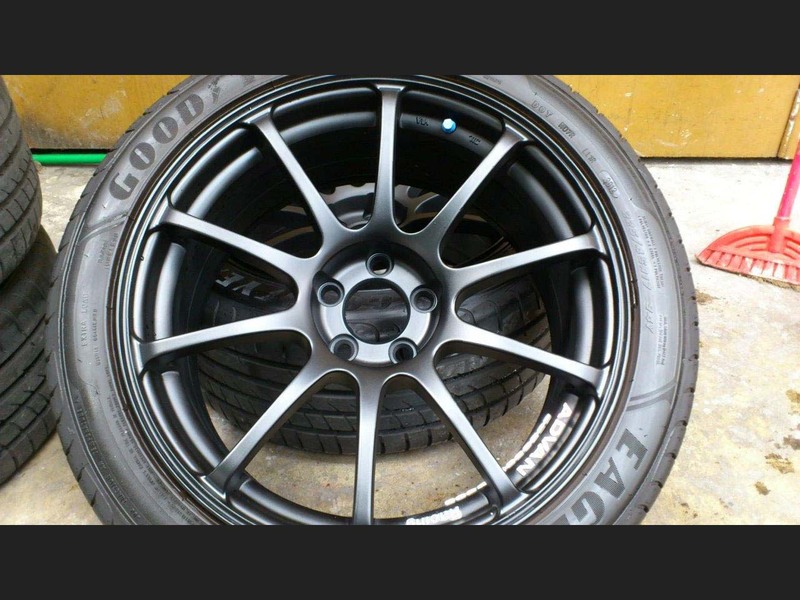 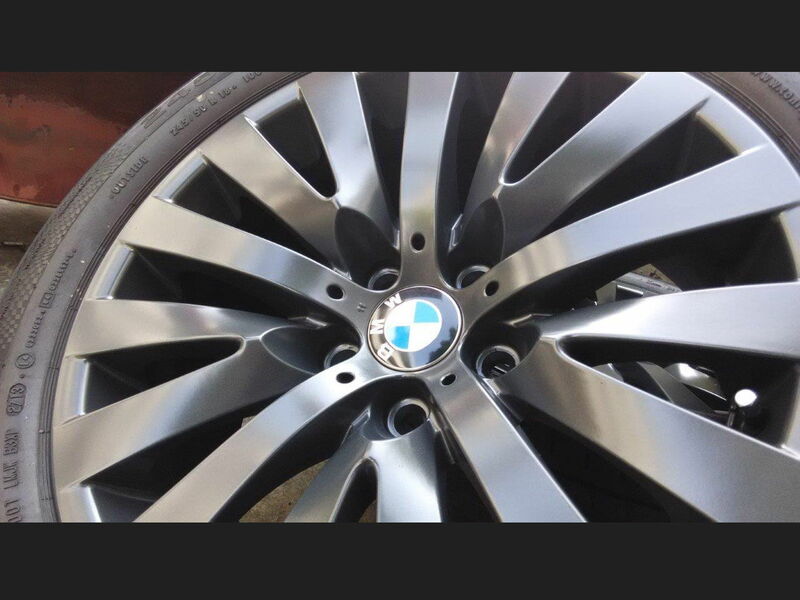 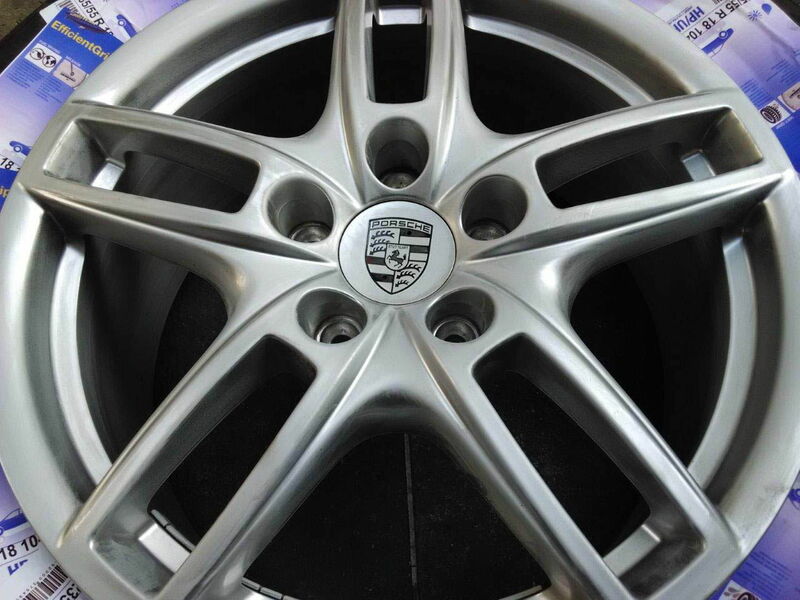 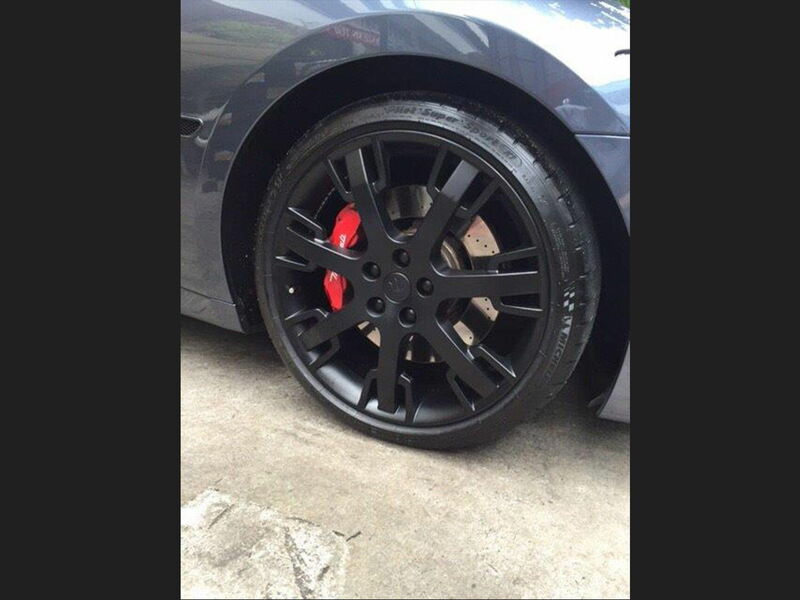 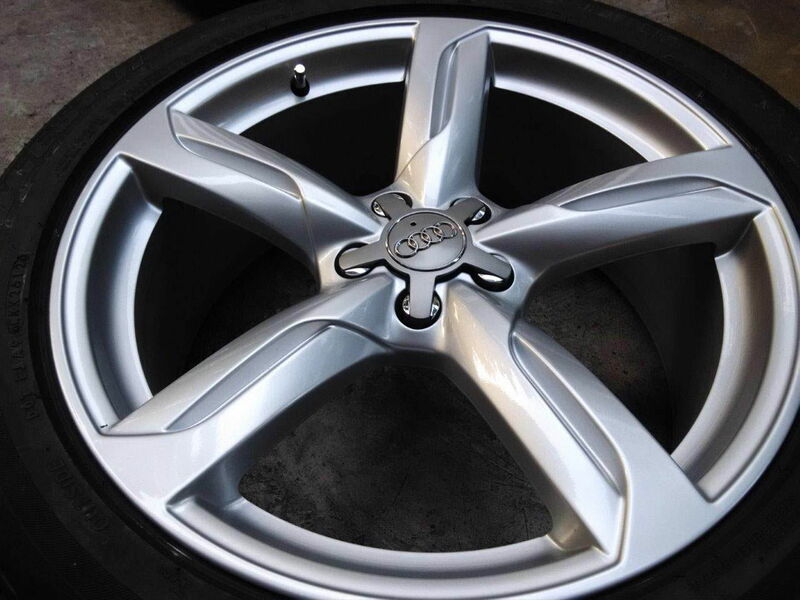 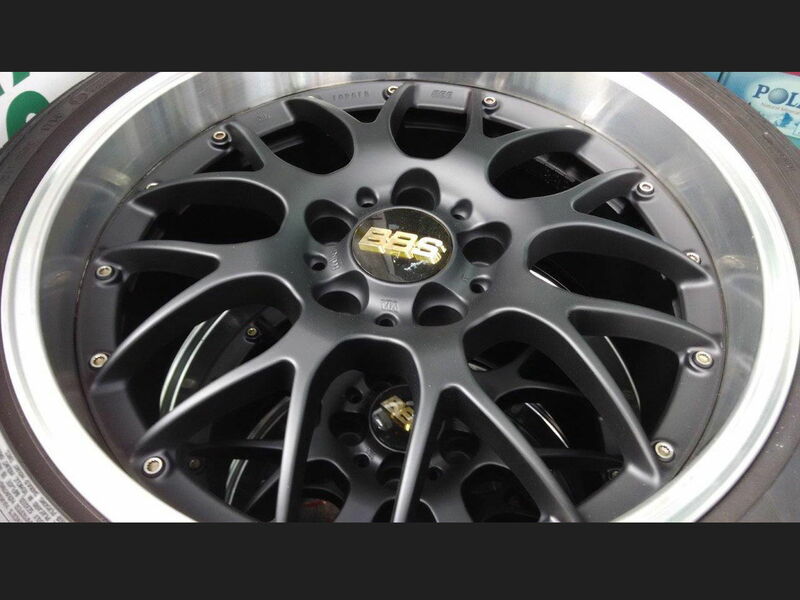 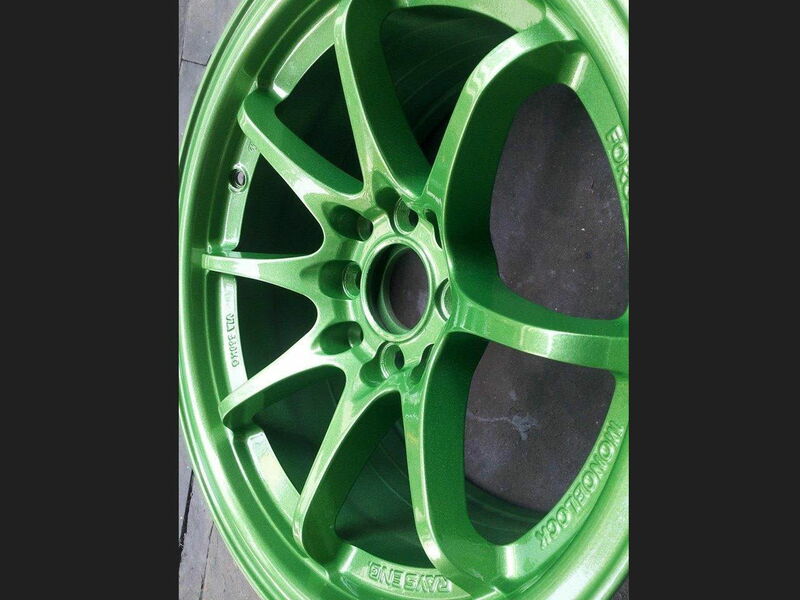 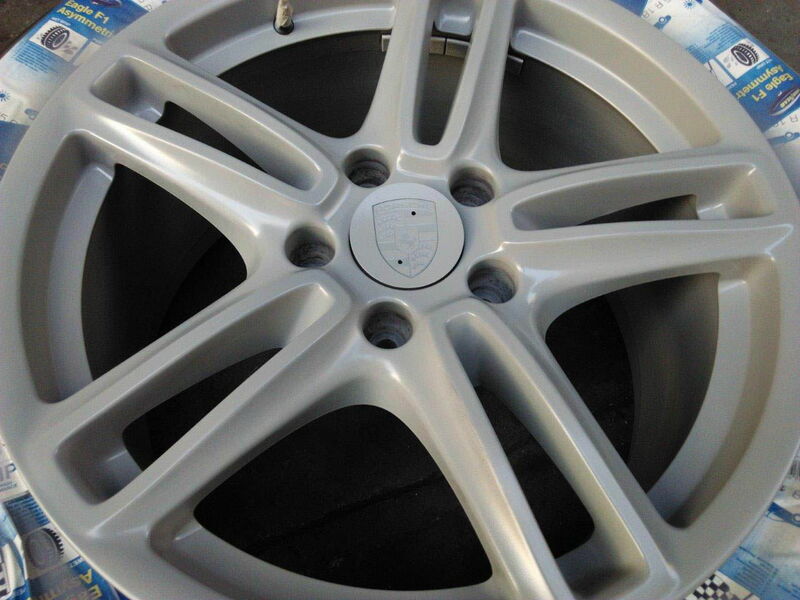 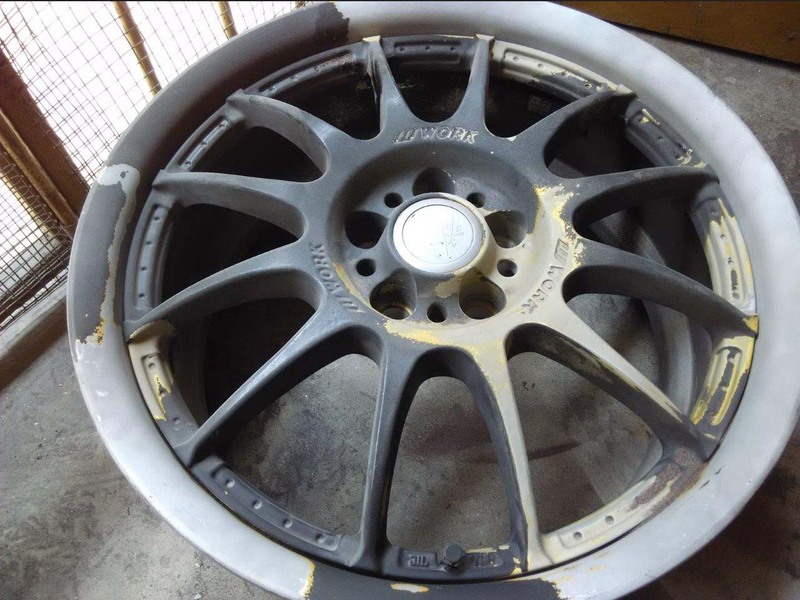 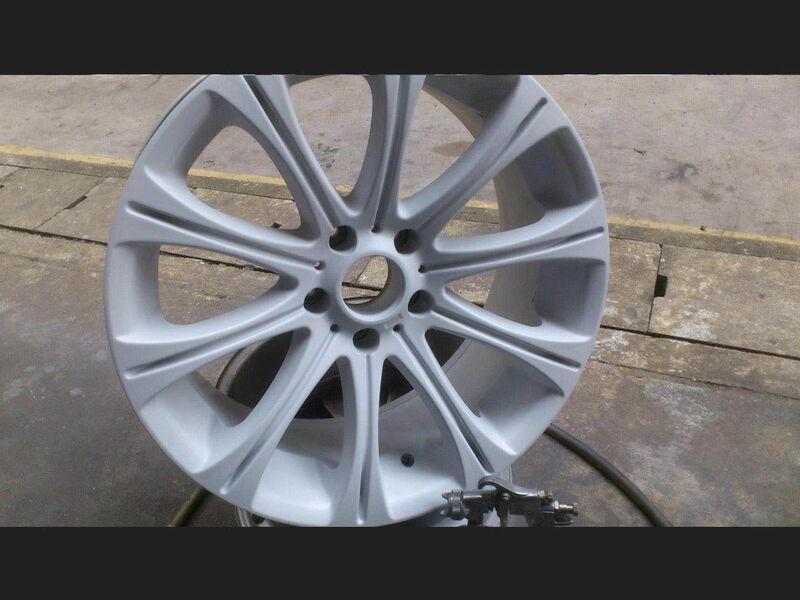 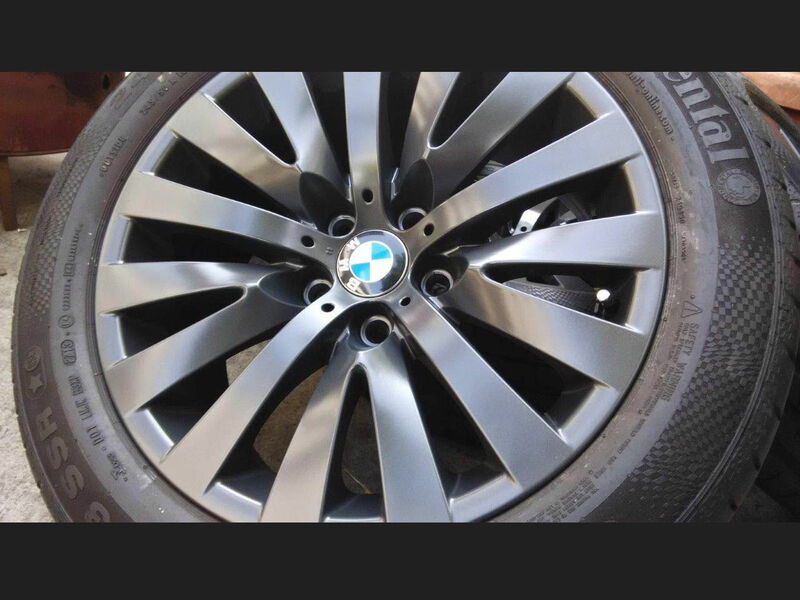 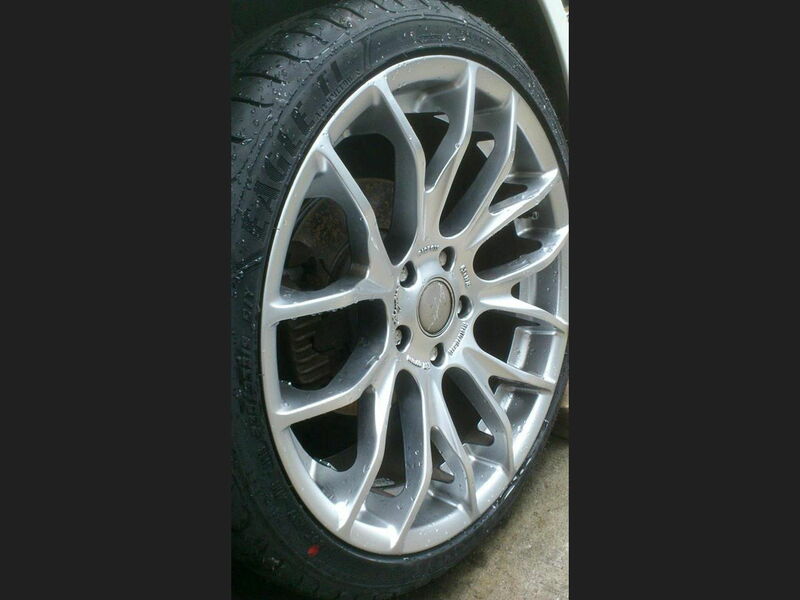 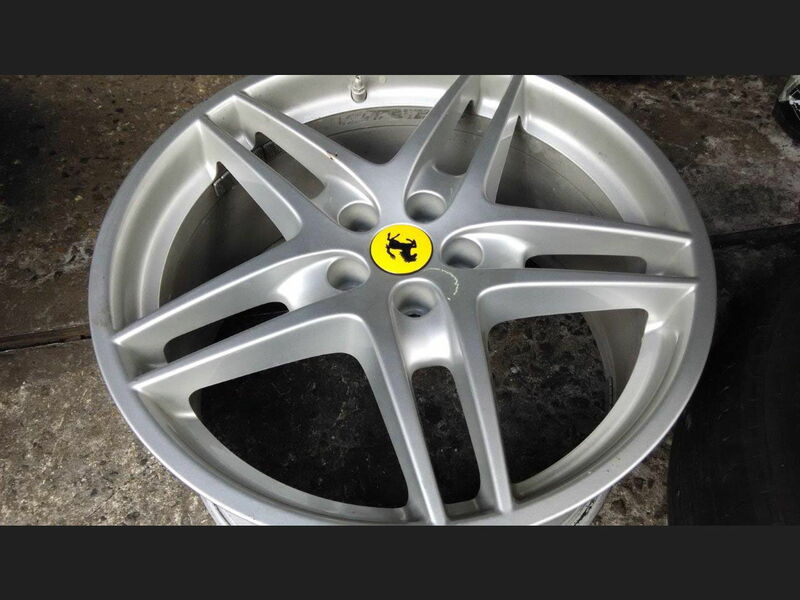 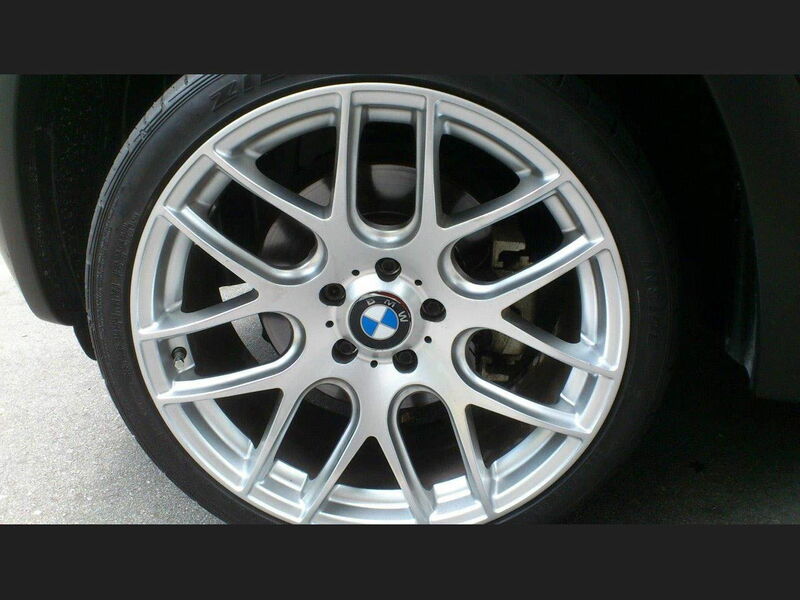 If you need quality repairs from a leading Singapore rims shop, look no further than Kim Hoe & Co.
We offer a standard refurbishment service in addition to resprays of sports rims with a commitment to providing the highest quality of workmanship at an affordable cost. 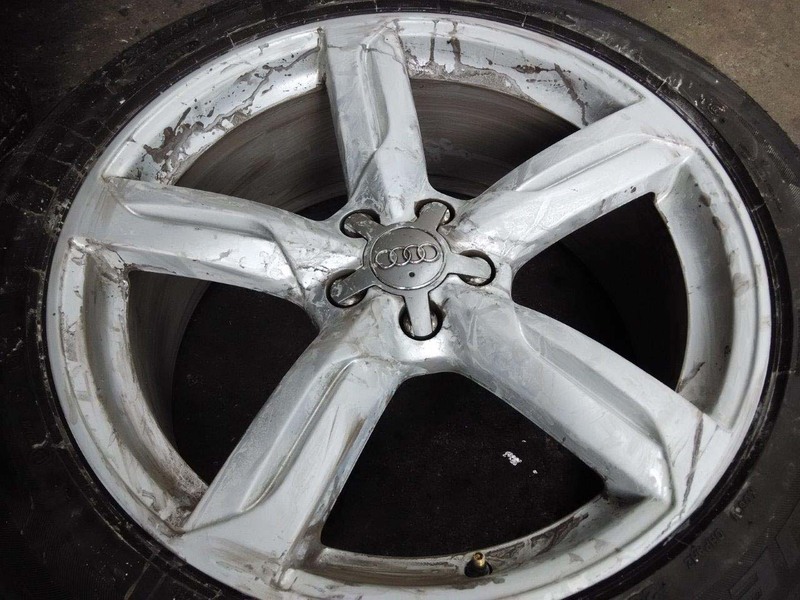 Price per wheel: Approximately $30 to $45 depending on the damage. 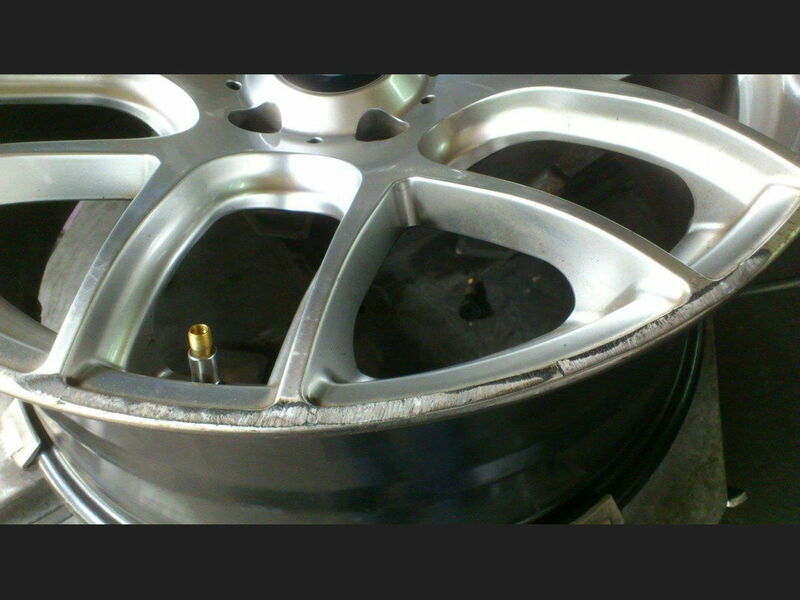 Please note that an additional $5 will be charged if balancing is required. 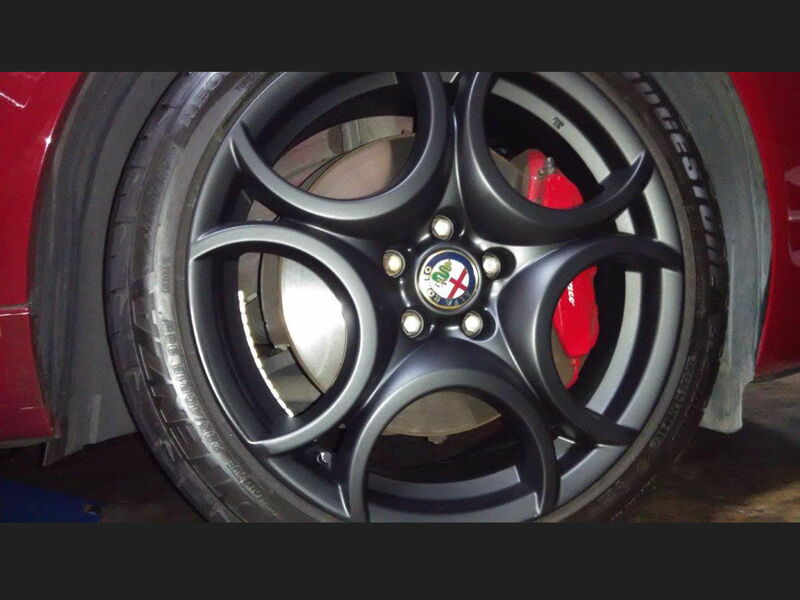 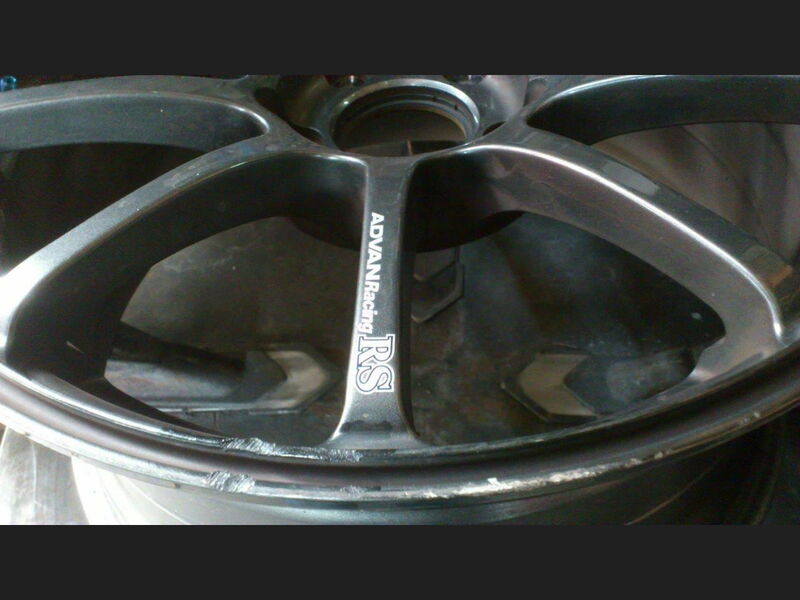 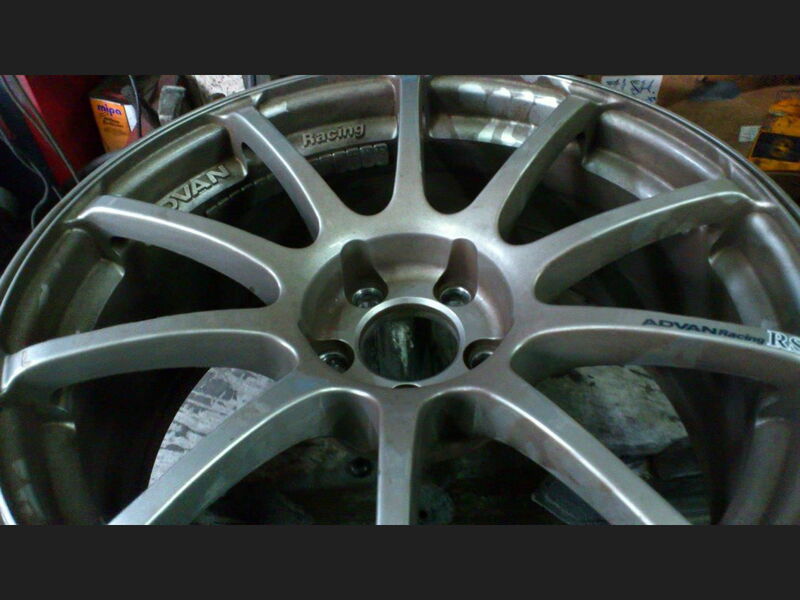 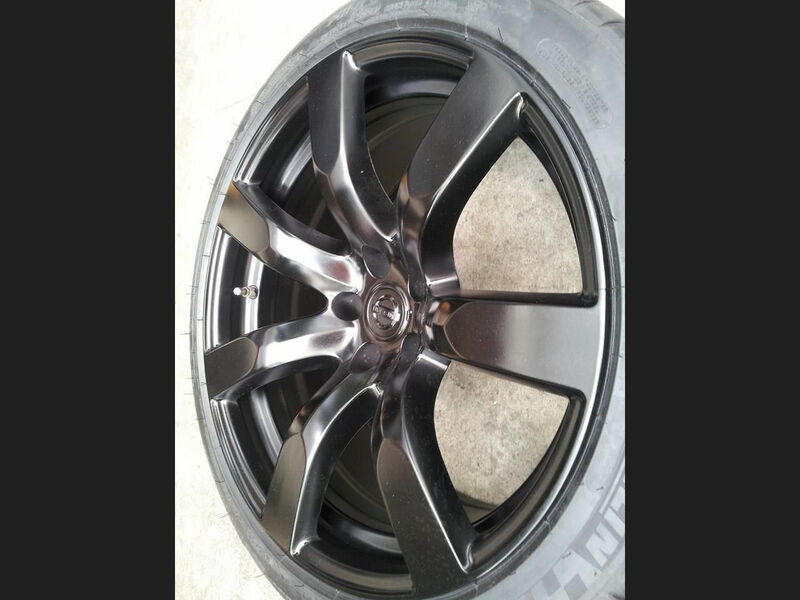 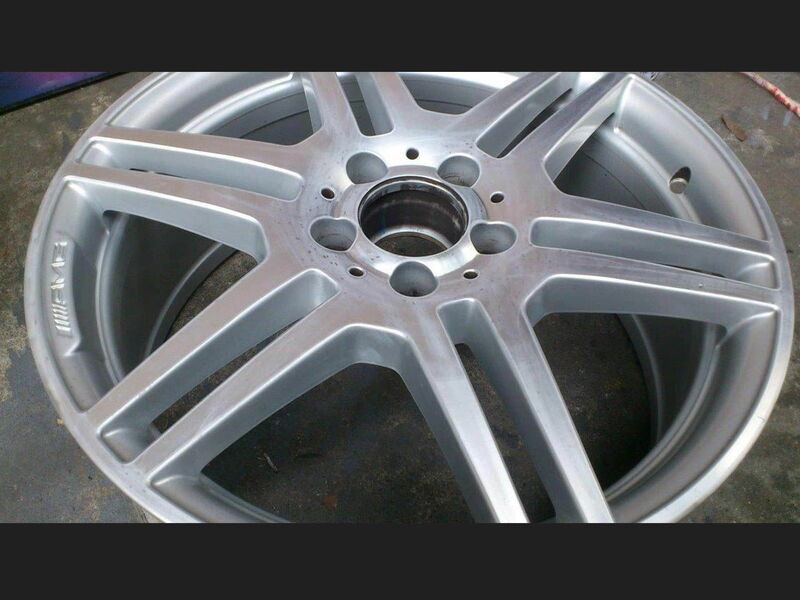 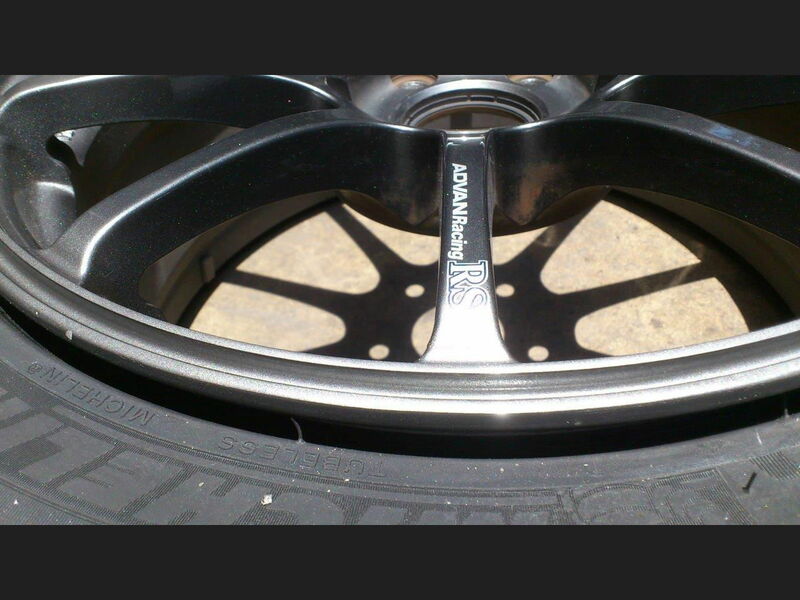 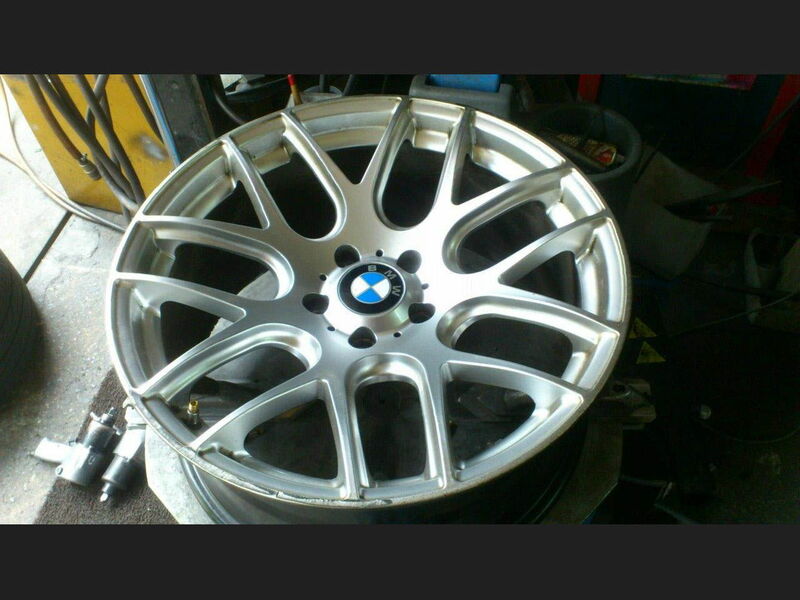 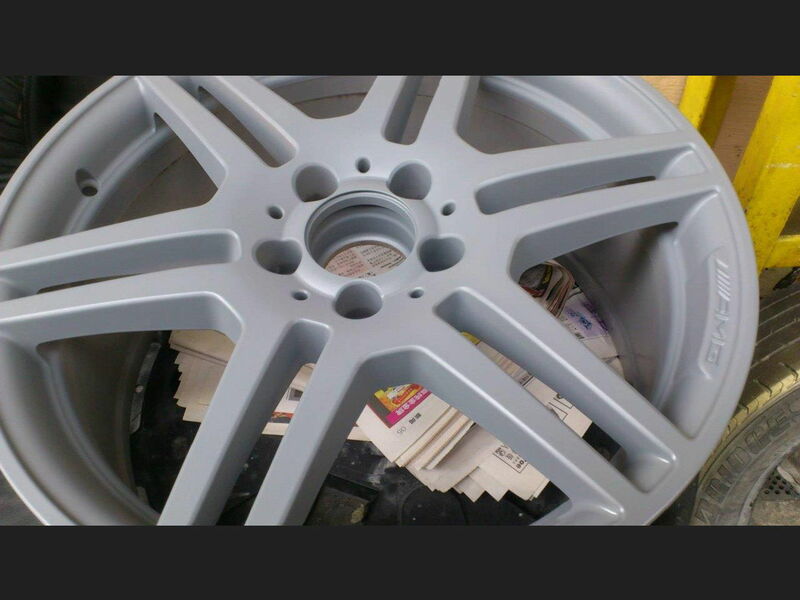 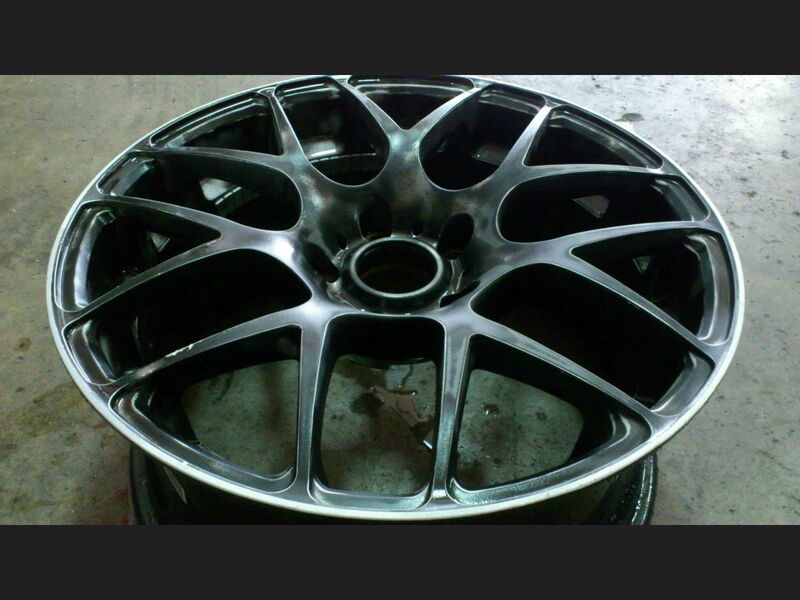 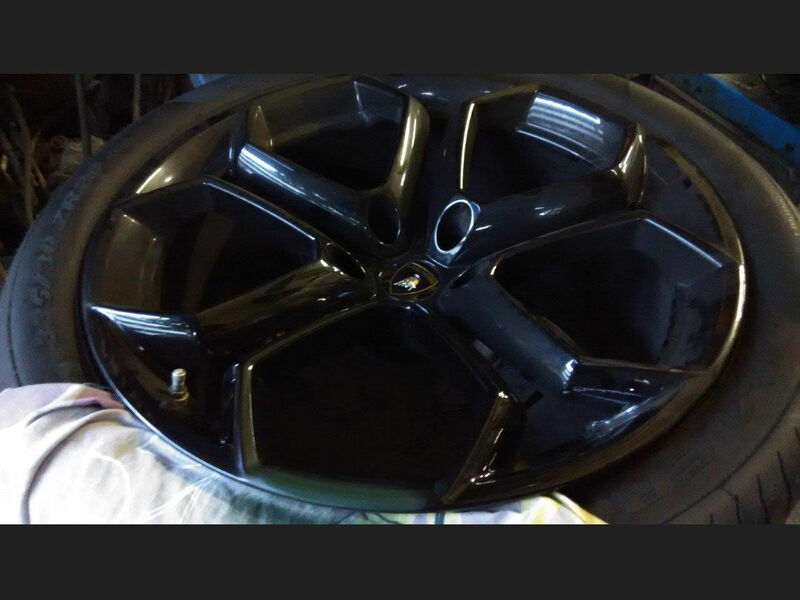 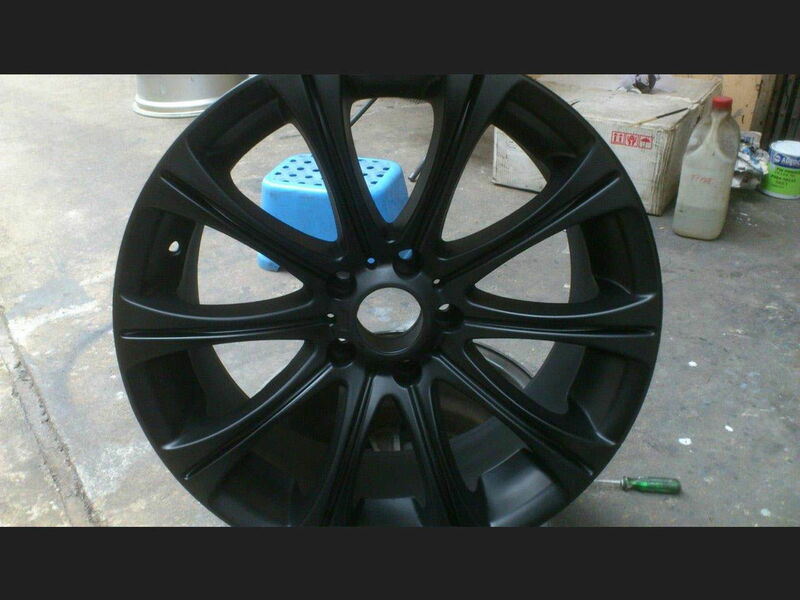 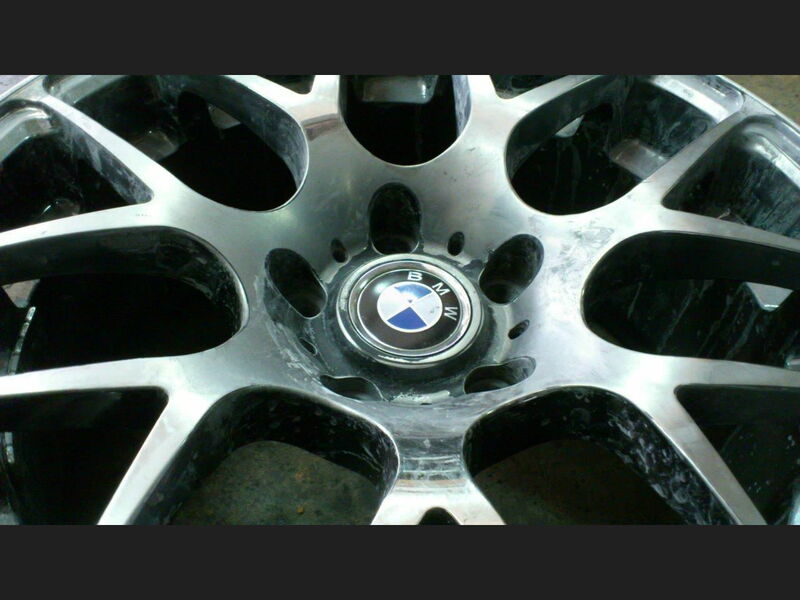 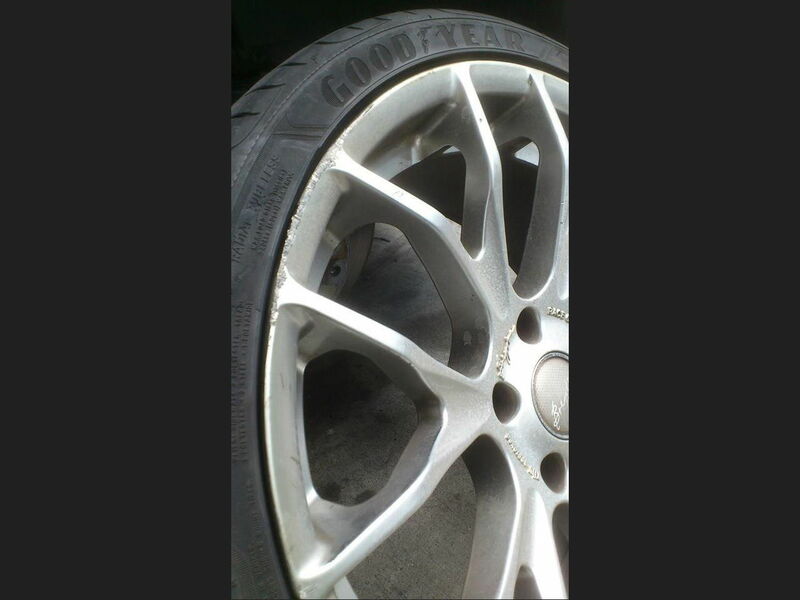 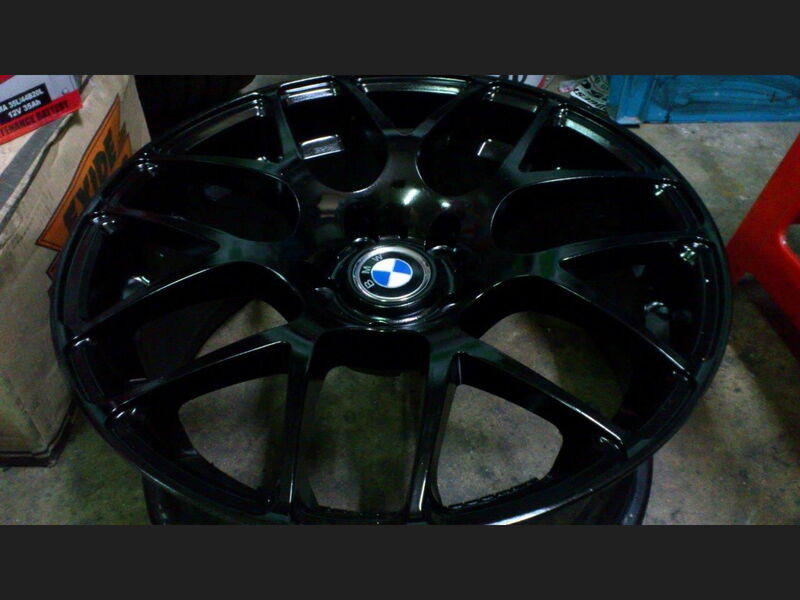 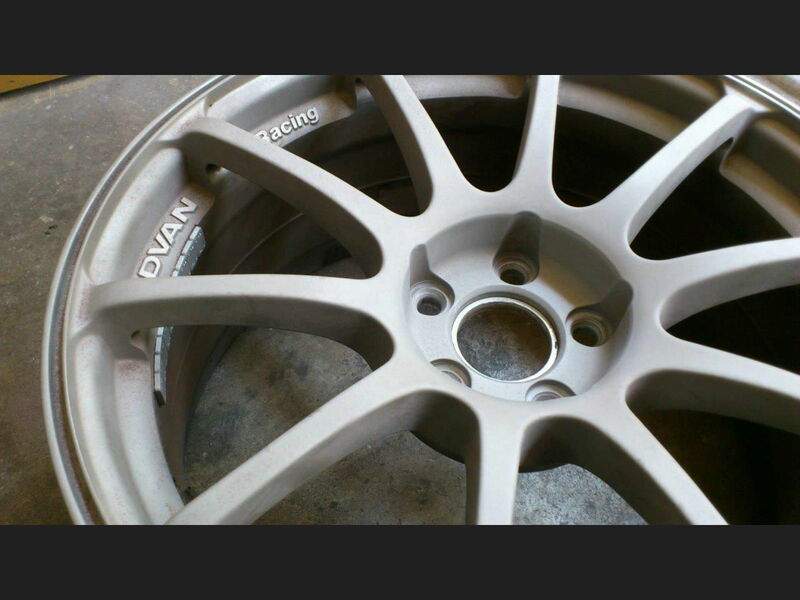 *Additional 20$/- each for badly damaged rim. 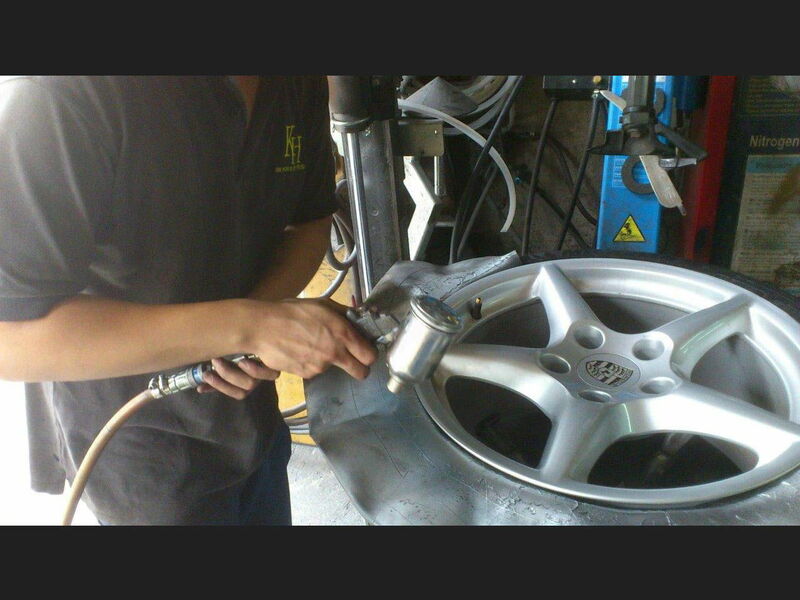 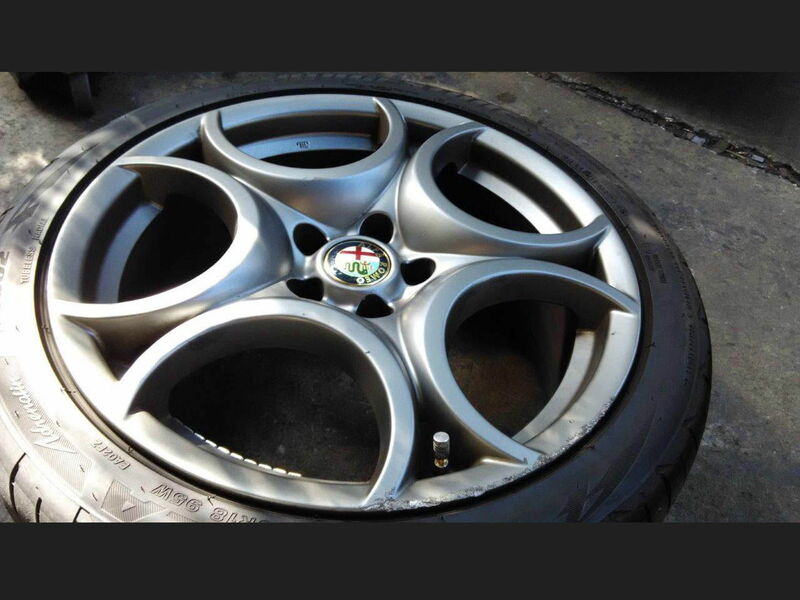 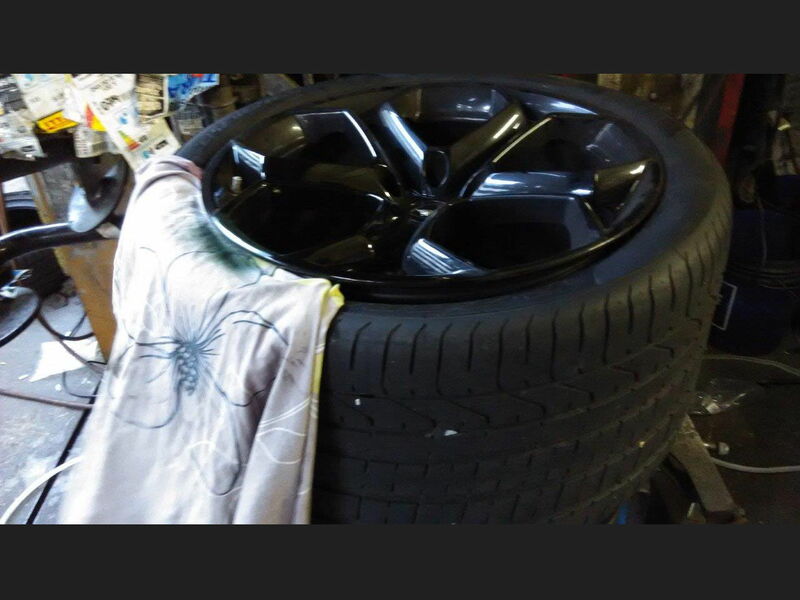 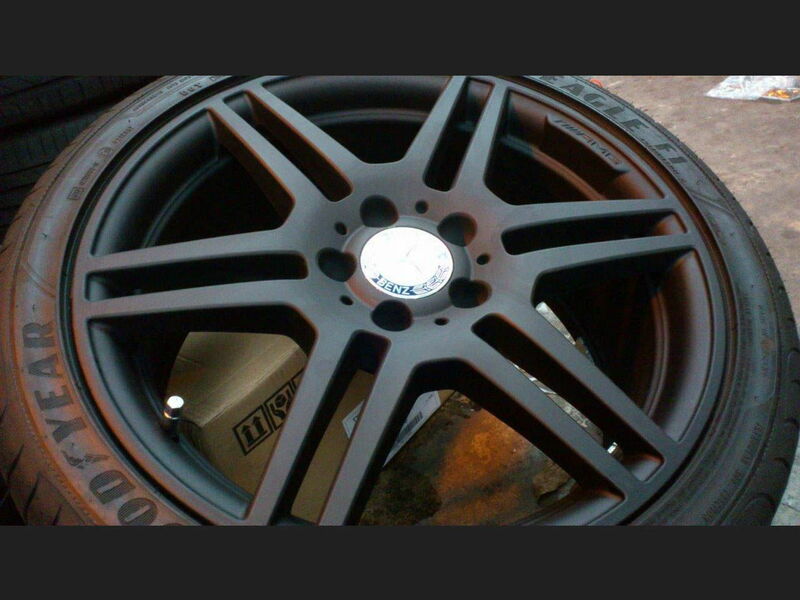 Whether you require car rim repair or want to buy new tyres online, Kim Hoe & Co is the only team you need. 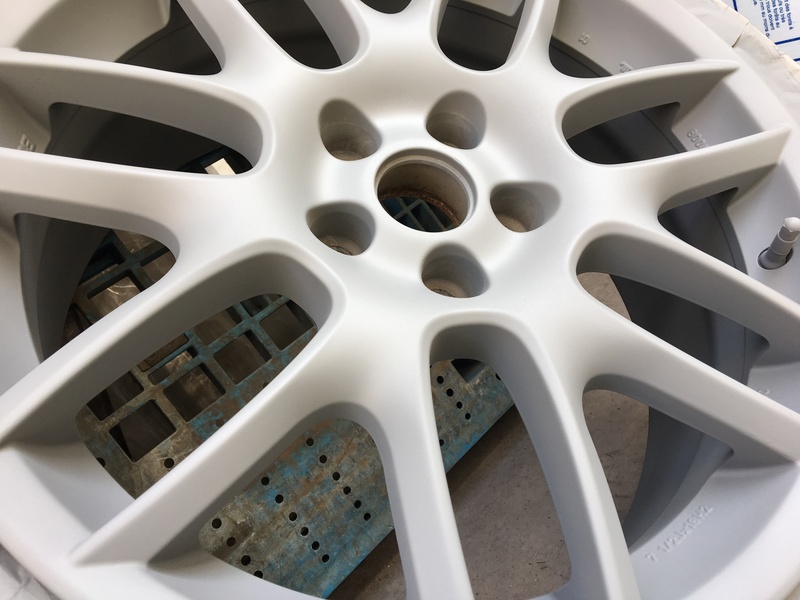 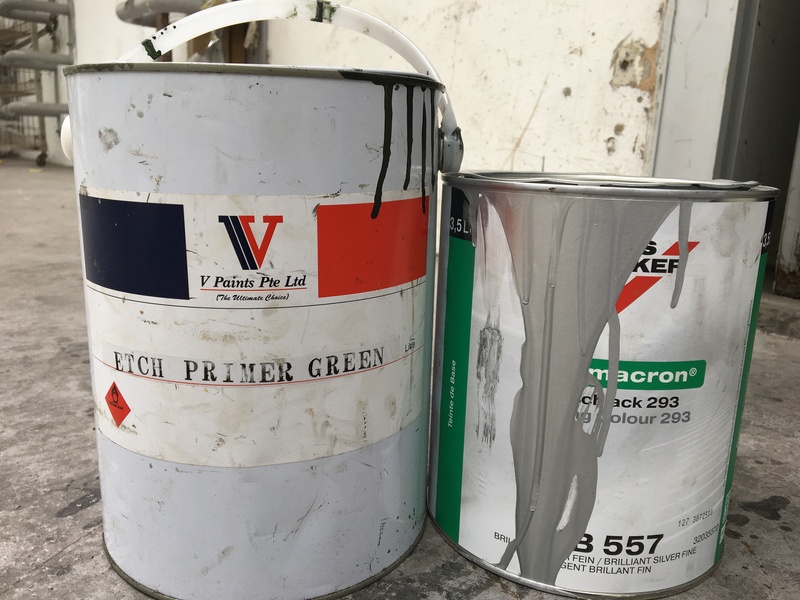 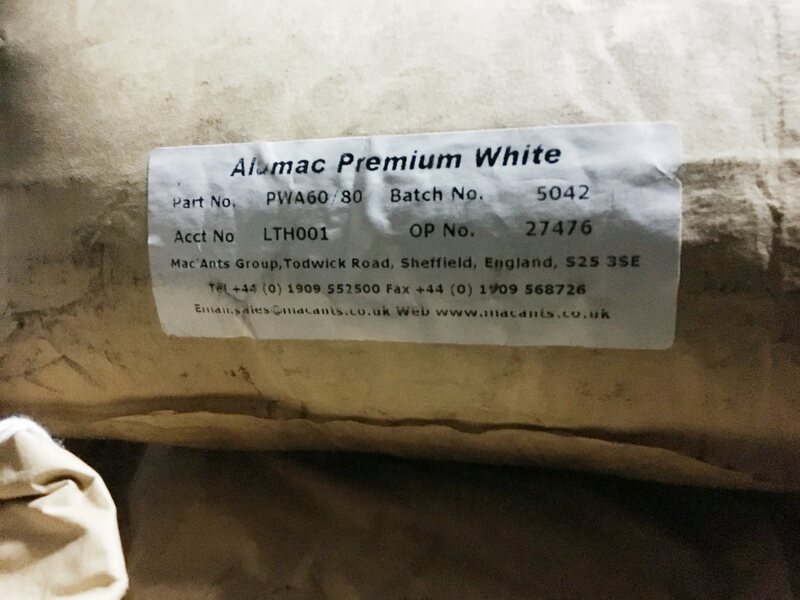 We have extensive industry knowledge backed up by experience, and go above and beyond to share our expertise with our customers to ensure they get the best possible outcome. 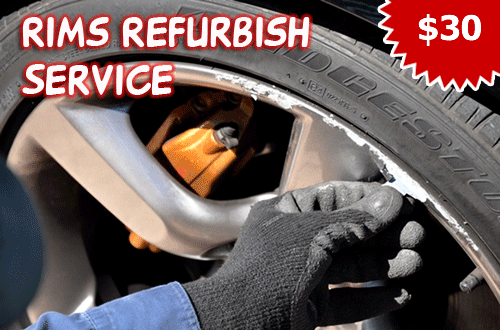 If you’d like to find out more, make an enquiry at any time and we’ll be happy to assist in any way we can.